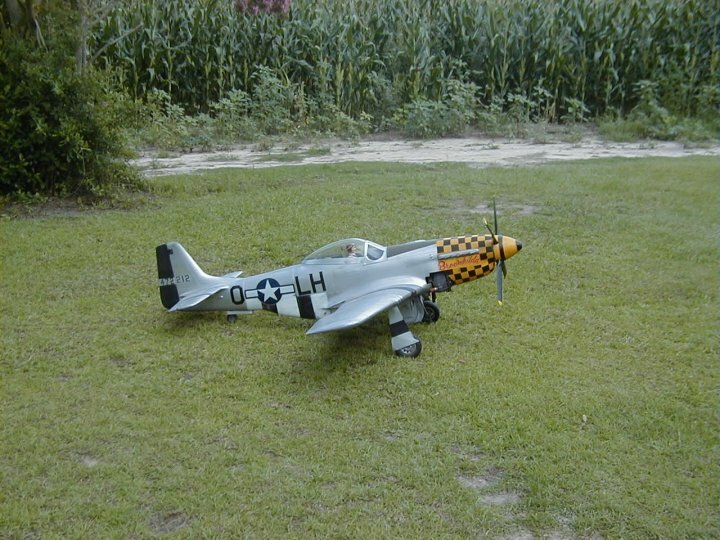 The second Byron Mustang in the Hangar that is ready to fly. 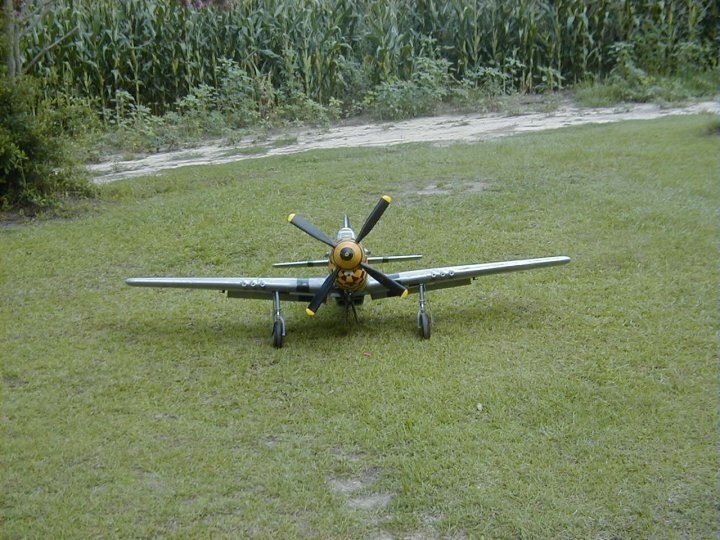 This one has all the panel lines done and is weathered to look like a P-51 that has seen the action of battle. 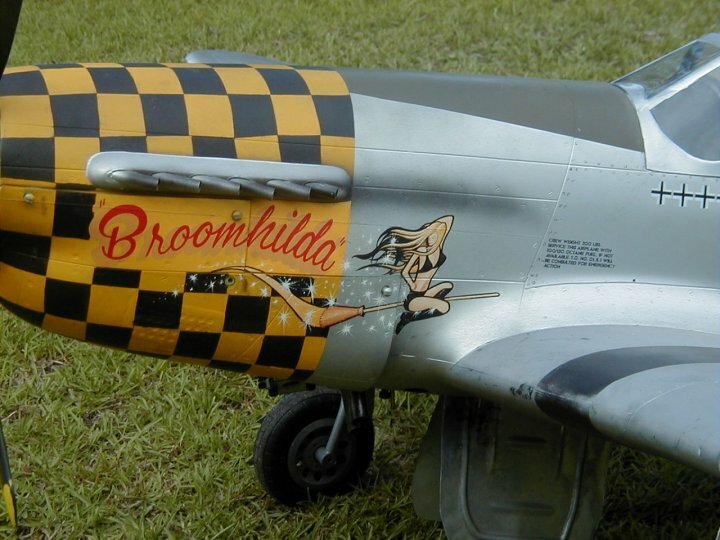 With smoke stains down the sides and behind the guns, faded paint, and places that show wear from the flow of air and abrasive particles make this one look like a real Mustang that had a magic wand waved over it and shrunk down to 1/5 scale. 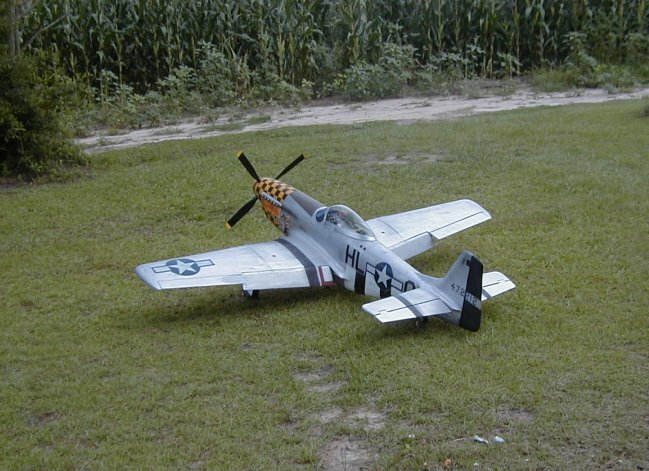 With a wingspan of 85" and a length of 76", this one also sports retractable landing gear with sequencing inner and outer doors, retracting tail wheel with doors, flaps, and a Byron reduction drive swinging a 24" 4 blade prop to make it "Look" like a Mustang in flight.